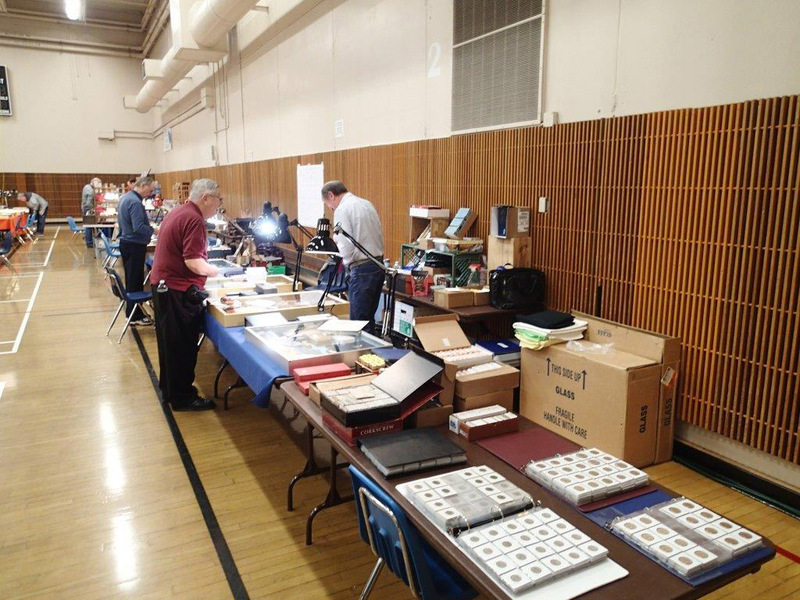 The BECC held its 53rd annual coin show January 21-22, 2017 at the Kent Commons, 525 4th Avenue North, Kent, Washington. 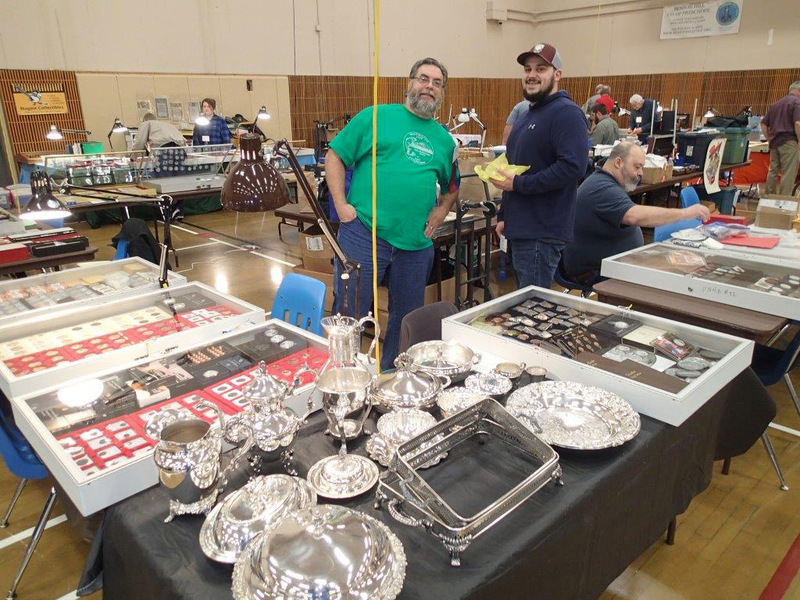 The show is the second largest in the Northwest with about 60 dealers participating and arguably the best liked show as well. 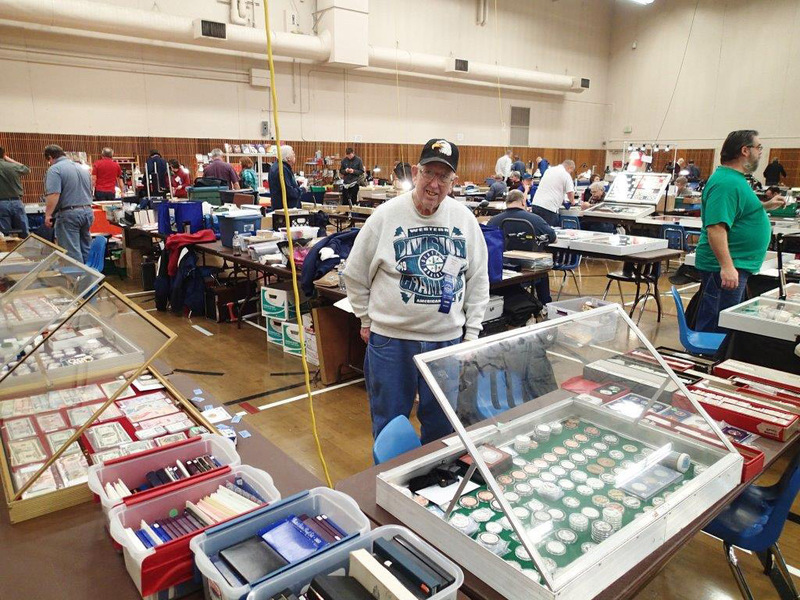 See 2017 coin show flyer in PDF format. 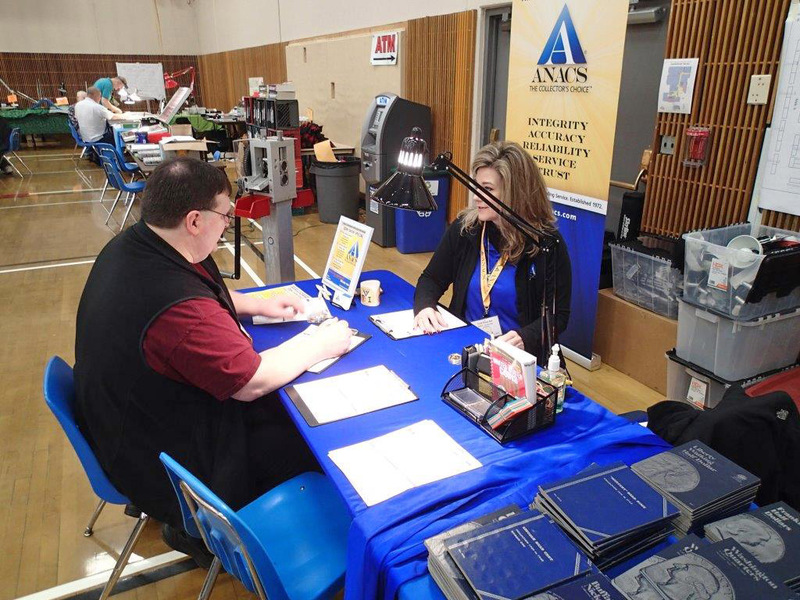 Images of the hospitality table, registration table, bourse floor and some dealers and club members; also the ANACS table with ANACS Rep Cindi Snow Ray (right in last photo of bottom row). The collector exhibit area with Greg Smith and Del Cushing judging. Dealers, club members and the general public can all enter. See below for link to awards and photos. 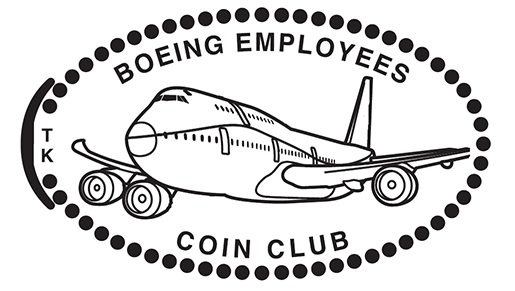 For additional information about the annual BECC coin shows, see the main coin show page. 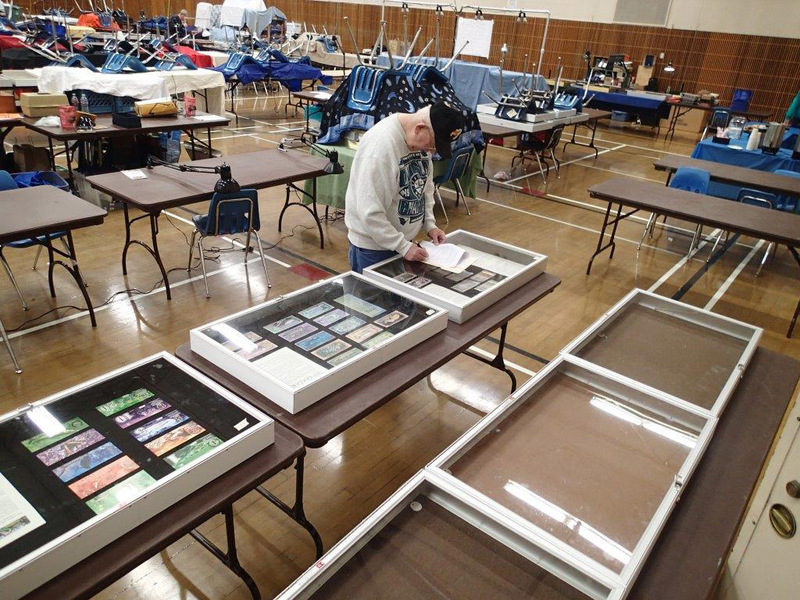 We had 4 colector exhibits with 9 cases of material displayed. All displays were excellent quality and very interesting topics. Coin, token, medal & paper money exhibits (displays) – Display awards (2017 awards and photos). 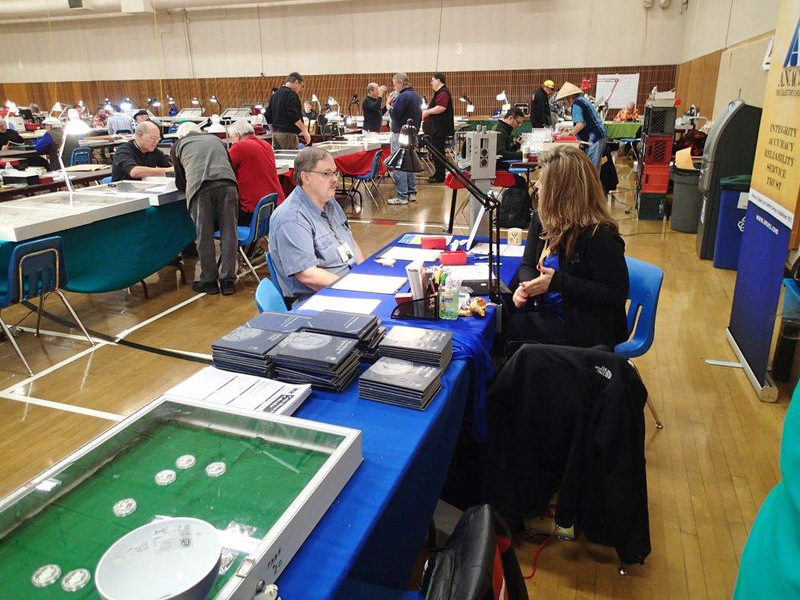 2017 Coin Show YN Table Report by Tony K.
I have to go back and look, but I think this was our 5th year with a YN table at the coin show. Possibly 6th year. Either way we keep finding out ways to make it fun for the kids that come back and visit us. This year was our lowest turnout with just over 50 kids for both days. Only four Boy Scouts came for their merit badges. 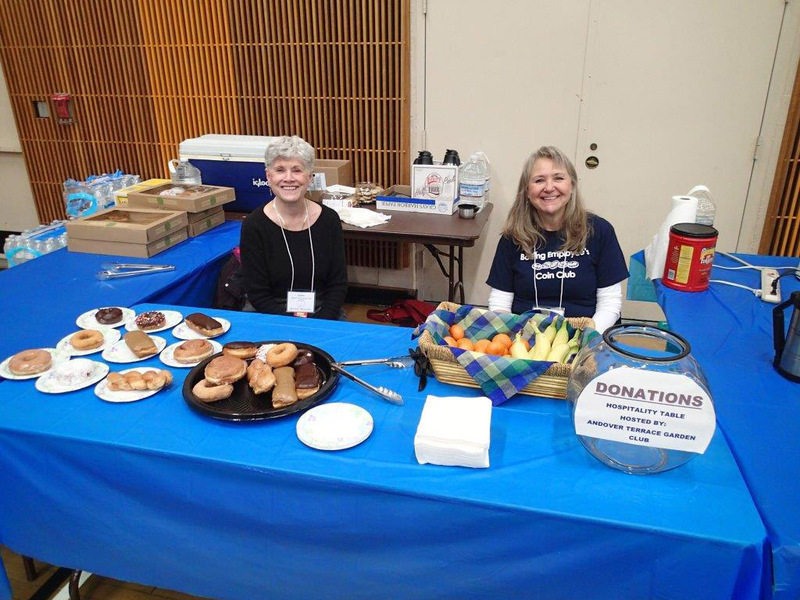 The low turnout was probably because Chief Seattle did not put us in their e-newsletter even though I had asked for an announcement a little over two months before our event. 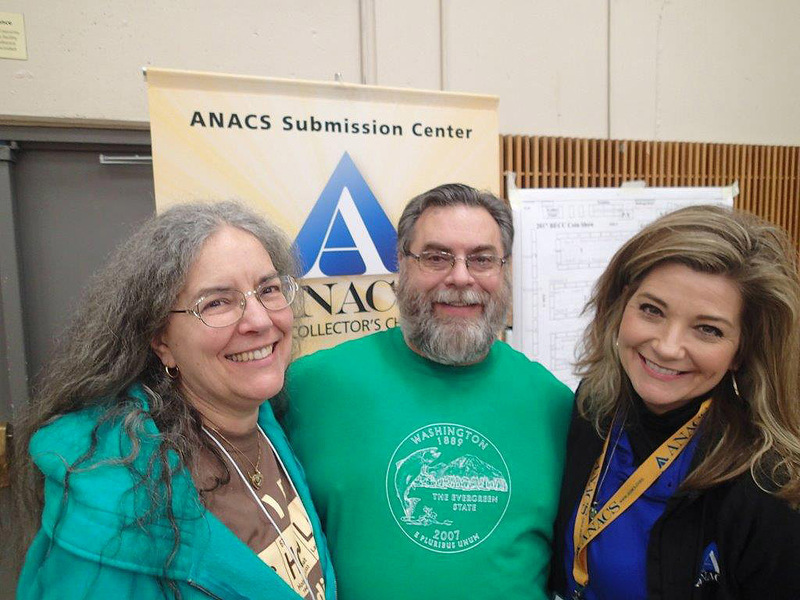 But putting that aside, the kids that did show up had a great time with the treasure hunt and getting the souvenir ANACS slab with the show’s date on it and an OPA token on the inside. 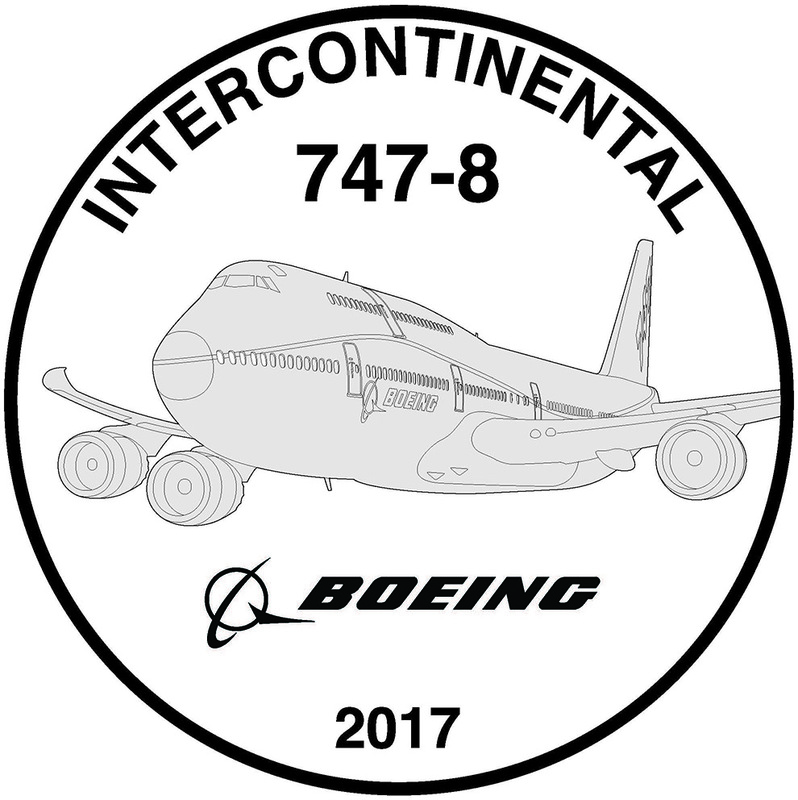 We’ve also had the PNNA’s elongated cent machine with our own die ring on it that produced the 747-8 on the front and we had a die ring for the reverse that put BECC COIN SHOW on the back of the cent. Now I’m not sure how, and it wasn’t me, but somehow The Elongated Club (TEC) folks found out about our design and we got an excited email from their VP asking questions and wanting to find out more about our club’s elongated cents (and wondering if they could get one). I’m accommodating them and sending them one. 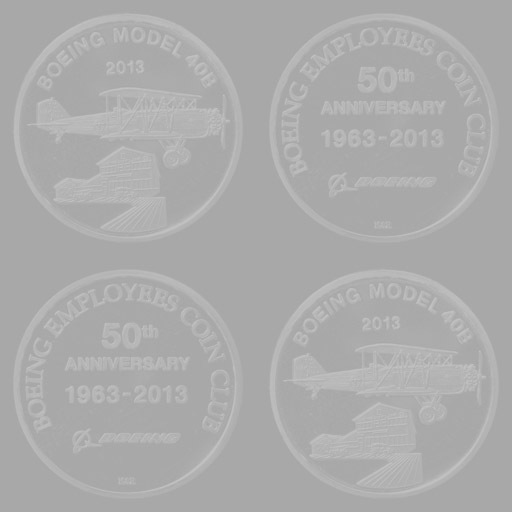 I think this is now going to get our coin show on the two elongated cent sites for the 3rd weekend in January. I noticed last fall that the PNNA is on the website for the Puyallup Fair. After talking with Cindy from TEC, I learned a couple of ways to clean up the older copper to have nicer cents to squish through the machine. I also think I know how to reduce the sorting time between copper and zinc cents and we could have fun with the machine at the shows. 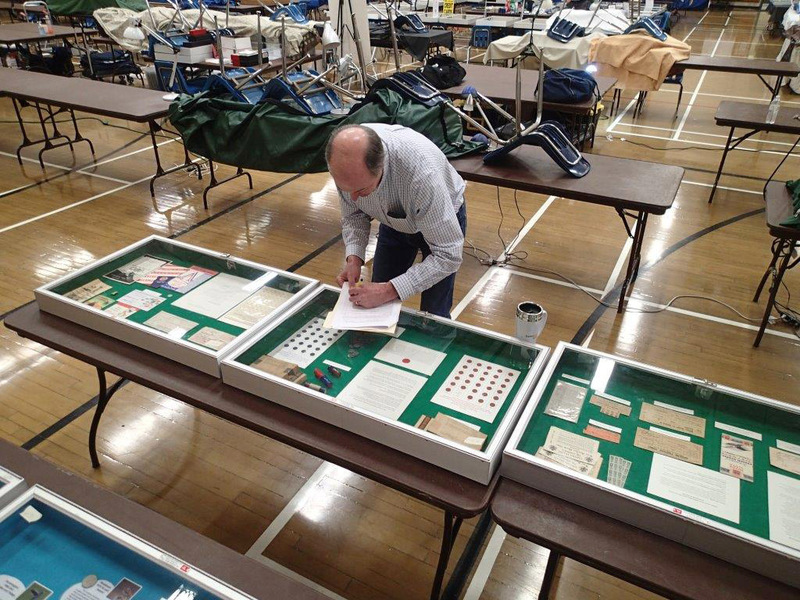 The kids had fun looking at the display cases and more asked questions since there was only one scouting merit badge class each day. There was a variety of show and tell items in the cases. One case held the YN roulette wheel prizes. The kids like to spin the wheel for a prize and it keeps a lot of bias out of who wins what for a prize. 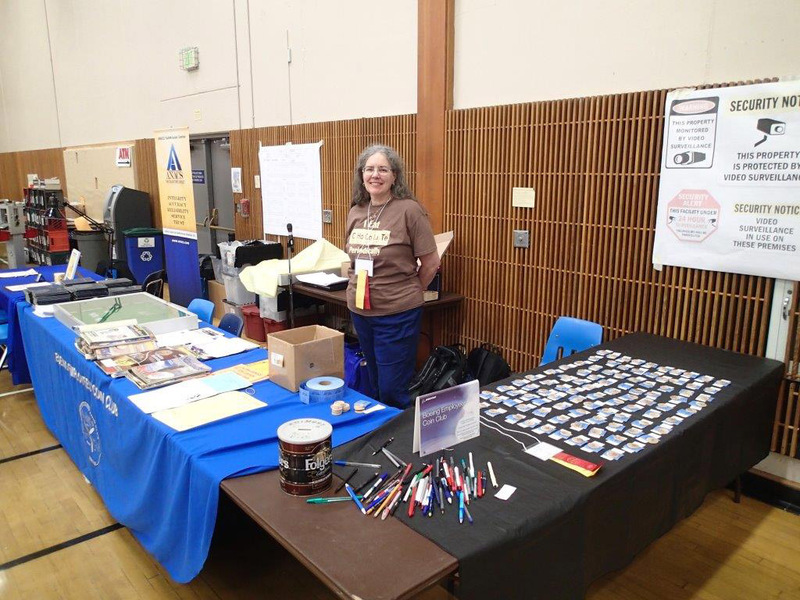 The parents enjoyed the energy and time we spent with the kids as nearly every kid had a good time that stopped by the YN table. It wouldn’t be right to end this without saying thanks to Kerri G. for her help again this year, so Kerri, I really appreciate your help with this each year and look forward to next year.